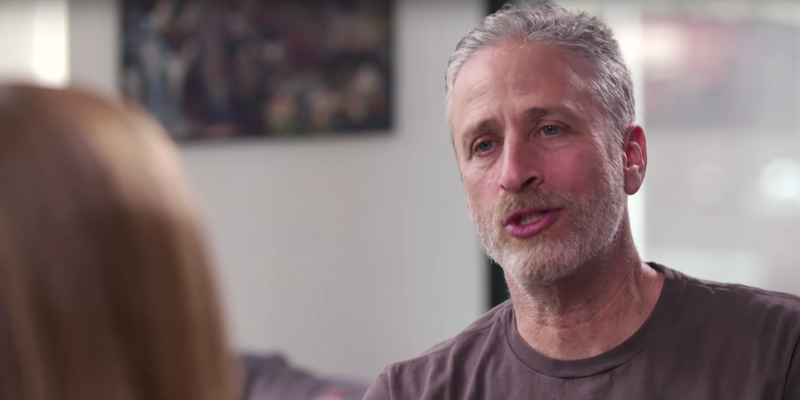 For those of you clamoring for Jon Stewart’s return to late night, your wish has come true. In the segment, Bee calls in Stewart for some advice. But before he can do that, she wants to know why there’s a pony in the room. Full Frontal/TBSStewart currently runs an animal rescue farm. “I’m pretty sure I heard you gave up show business to go and professionally massage livestock,” Bee said. Full Frontal/TBSStewart asks the pony what he thinks about Donald Trump. After retiring from “The Daily Show,” Stewart and his wife Tracey bought a farm in Middletown, New Jersey. While he doesn’t necessarily massage livestock, the farm’s purpose is to rescue abused animals. “You’re white. 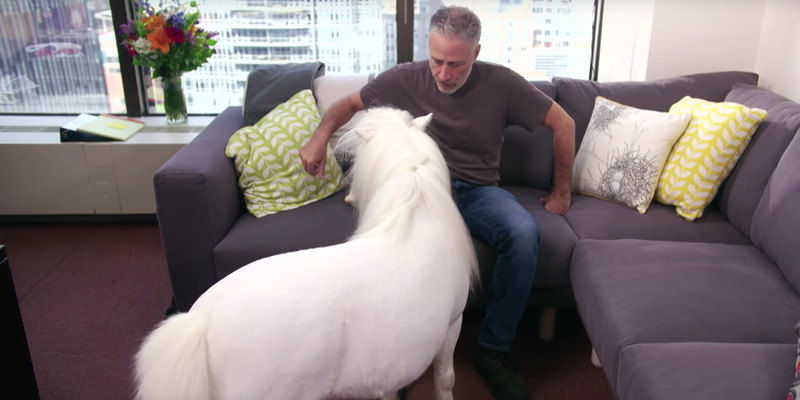 Are you voting for Trump?” Stewart asked the pony. You can catch “Full Frontal with Samantha Bee” on Mondays at 10.30 p.m. on TBS.